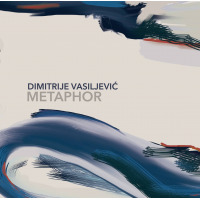 Jazz news: CD Release: Dimitrije Vasiljevic's "Metaphor"
CD Release: Dimitrije Vasiljevic's "Metaphor"
Dimitrije Vasiljevic's new album Metaphor has been released in the United States on July 22, 2014 and is now available on iTunes, Amazon, CD Baby and Google Play stores. Metaphor is a contemporary jazz solo piano album influenced by classical music aesthetics and a touch of Balkan traditions. Compelling original compositions radiate a vivid blend of artistic virtuosity and a delicate music thought which send the listener on a musical journey filled with varying emotions. 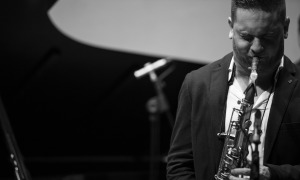 French pianist Jean-Michel Pilc praises the album with words astonishing virtuosity, unique personality and straight to your heart sensibility. Dimitrije has it all and is a new force to reckon with. I am a fan." The album brings a fresh treatment of solo piano as a device of compositional expression. Through the clear presentation of somewhat dreamy yet confident celebration of piano sound, Metaphor successfully blends modern jazz language, impressionistic harmonies and Balkan rhythms. “Living in a loud and fast world of modern age, people tend to neglect the obvious and skip the present, chasing the phantoms of somewhat delusional future. 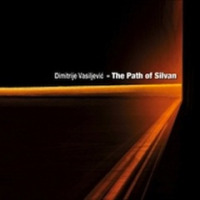 In such a setting, the metaphors of timeless virtues smolder in the ether of reality, reminding us about our true nature and indigenous spirit”, said Dimitrije Vasiljevic, explaining the title of his new record. 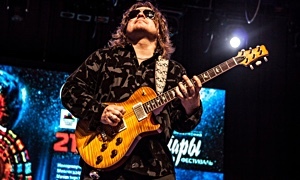 The album features eight original jazz solo piano compositions, seven of which recorded and produced at Oktaven Audio studio in New York, while one, “The Love Is Out There” recorded at the live performance in Montreux Jazz Festival where Vasiljevic debuted it. “Metaphor” was produced by LeitmotivArts. The opening track, Wardenclyffe", pulls in the audience with its strong and passionate texture at the very introduction, while painting a musical portrait of Nikola Tesla. And then there’s “Sacre-Coeur” a beautiful track that evokes footsteps of the cobblestones of Paris. “Ditto” and “Anima” are insightful picturesque dedications in which Vasiljevic wistfully depict the complexity of individual characters. Mysterious “Ellipsis” and moderately discreet “Far” introduce a contrasting mood which suggest composer’s tendency for the exploration of strong melodic passages. And finally, “Tronozhats”, a traditional Montenegrin three-legged stool, metaphorically refers to the piano, Vasiljevic’s roots and traditions which inspire and influence his music expression. 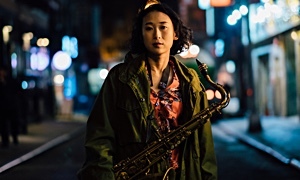 Through a wide palette of moods and colors, the album brings a lyrical story about a search for inner worlds and their emotional vigor using the power of jazz in a very personal way. Stunning cover artwork alludes to the infinite movement and ebbs and flows of emotions present in Vasiljevic’s music.